Send someone warmth this autumn with this charming bouquet. Bouquet. 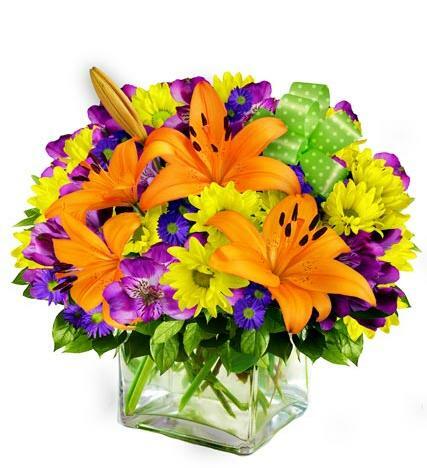 Vibrant orange lilies, yellow spray roses, and purple Peruvian lilies sit neatly in a glass cubed vase. The premium size arrangement will be hand-delivered the same day by a local florist.